I’ve always been a fan of Village N Life properties and this one didn’t disappoint. 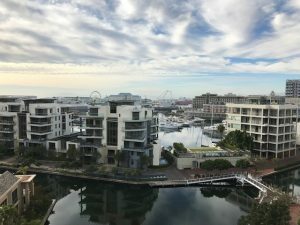 After a very easy check-in at the Village N Life office we drove around to the Bluff entrance of the Waterfront Village – a perfect location for those who want to be in the heart of the action, but still far enough away to enjoy some peace. We had a quick picture taken for security and then we were shown to our underground parking bay which was situated under the block which we were staying. You are given an entrance key card which gets you into your building and activates the lift. The security is excellent! We stayed in Juliette 701, a fabulous three bed penthouse. The lift provides direct access to the apartment, a real wow factor when you enter the apartment straight into a very spacious lounge area with shutter doors opening onto a large balcony overlooking the One&Only Island. On the left of the balcony is a nice sized pool and to the right the balcony extends with all three bedrooms opening out onto it. All the bedrooms are en-suite and a very good size. The kitchen is well equipped and there is also a scullery. There are lots of windows in the penthouse so the afternoon sun streamed into the apartment and it had a lovely bright and airy feel. The apartment is also fully air-conditioned which doubles as a heater in the winter months. With our key card, we could access the Waterfront very easily by walking past the One&Only. 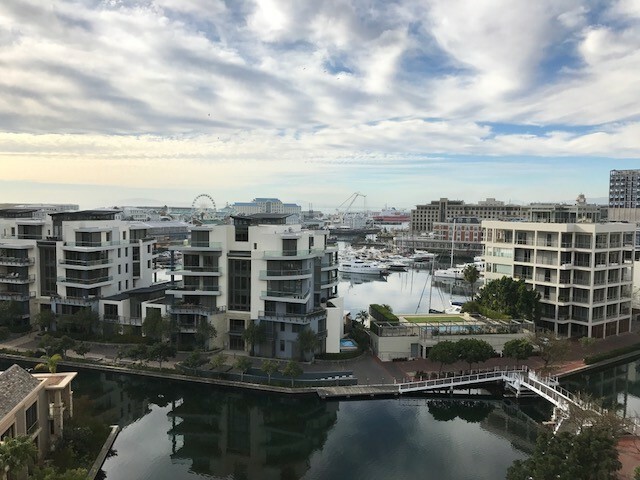 The Waterfront Village is just 10 minutes’ walk to the heart of the V&A Waterfront, so it’s in a really convenient location. Being so close to the V&A we enjoyed lunch and dinner here, and in the evening there was a fantastic band playing at Quay4. The children could come and go as they pleased, so we actually got some adult time. We all thoroughly enjoyed our break – a great location and very safe!